Ryan M. Andrews is a horror director based out of Toronto, an attendee at both Niagra College and the Trebas Institute in Toronto. 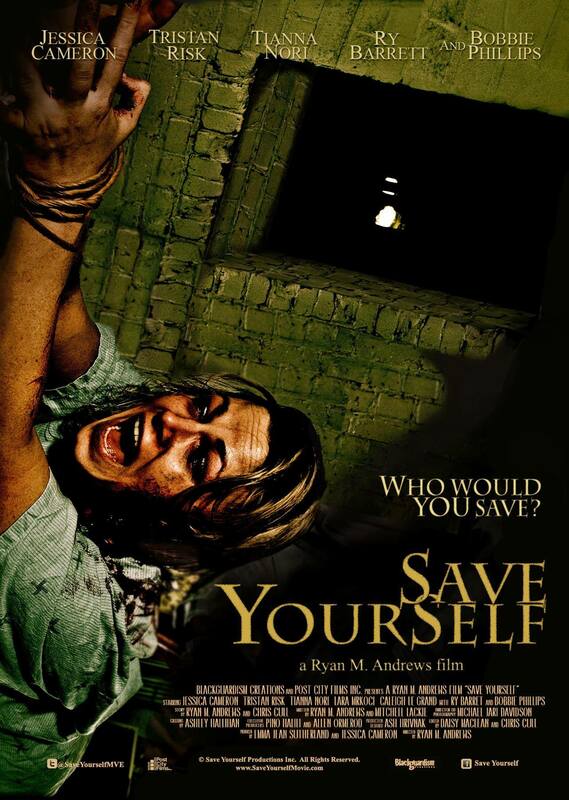 His newest film is SAVE YOURSELF, a film that may suggest it’s just another backwoods crazies torture movie but is far more than that. Ryan writes female characters with agency and real character arcs, not just the usual fodder many horror movies hold up. Ryan and Martin talk about Save Yourself, the importance of getting the perfect settings and backdrops, and the strength of some of the film’s actors. Praise in particular for Tristan Risk and Syndey Kondruss who both dazzle with their performances. They also talk a little about film communities both geographically and online, crowd funding, and more! SAVE YOURSELF on Facebook for all updates! Next week Martin talks to stop motion animator and crazy person Lee Hardcastle about his varied and seriously screwed up work. That includes his entry in The ABCs of Death the infamous T is For Toilet. A great one so don’t miss it! Retro Superplex 11 With CHIKARA’s Party Tsar!